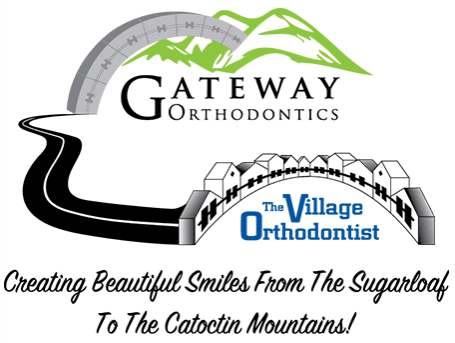 At The Village Orthodontist, Dr. Moles and his friendly team are proud to provide kids, teenagers and adults living near Frederick, MD with high quality orthodontic treatment. At our office, we use the latest orthodontic technology, to ensure teens that choose the Invisalign System spend less time in our office, and earn a beautiful smile faster than ever before. Why choose us for your teen’s Invisalign Teen? One of the biggest reasons to visit Dr. Moles is because he’s on the cutting-edge of effective orthodontic methods and techniques. Recently, we introduced Dental Monitoring, allowing our patients to manage their treatment no matter where they are, and having a virtual connection to Dr. Moles 24/7. Learn more about Invisalign Teen, and Dental Monitoring below. 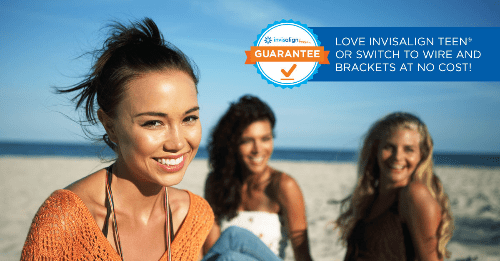 Just like regular Invisalign for adults, Invisalign Teen consists of a series of custom-made, removable, clear aligners which are designed to gradually move teeth by applying consistent pressure to the teeth. The aligners, which fit snugly over the teeth, are made of a translucent, smooth and thin, plastic material. Each set of aligners is designed to be worn for about two weeks and then replaced with the next set in the series and so on until all the aligners have been used and the teeth are in the correct alignment. While regular Invisalign is very effective at moving teeth, this treatment option was not recommended for teenagers when it was developed for two main reasons. First of all, it was thought that teens wouldn’t always be compliant with wearing the aligners for the recommended 22 hours per day. Secondly, since most teenagers still have permanent teeth coming in, the precisely-planned movement of the teeth could be disturbed with regular Invisalign aligners. For these reasons, the team at Align Technology, the makers of Invisalign, decided it was best to develop clear removable aligners just for teens. Invisalign Teen aligners come with small ‘compliance indicators’ built right in, which are tiny dots that fade as the aligners are worn in the mouth. This feature lets the patient, parents, and orthodontist know if the aligners are being worn as directed. Invisalign Teen aligners also come with special ‘eruption tabs’ to hold the space needed for non-erupted teeth. These two unique features help make Invisalign Teen ideal for growing teenagers who want to improve their smiles with clear, removable aligners. Dental Monitoring (only at The Village Orthodontist! ): Using an app on your smartphone, you can take images of your smile to send to Dr. Moles. He’ll be able to analyze and evaluate whether or not to move onto the next aligner. This allows our patients to spend less time in our office chair, and more time doing what they love. Ask your treatment coordinator about Dental Monitoring during your consultation appointment. No Dietary Restrictions: When regular braces are worn, there are many braces-busting foods that must be completely avoided including chewy foods like pizza crusts and hard foods like crisp apples. However, with Invisalign Teen, the aligners are designed to be removed when eating, which means there are no dietary restrictions to hassle with. Maintaining Good Oral Hygiene is Easy: Since the aligners are meant to be taken out when brushing and flossing, there are never any worries about not doing a good job of maintaining good oral hygiene for the entire treatment process. Perfectly Matches Your Teen’s Active Lifestyle: Invisalign Teen has been designed to fit seamlessly with the active lifestyles of teens. With no wires to adjust, there are fewer orthodontic appointments to keep. Your teen can also continue doing all the things he/she loves including playing sports or being in the school band. Since the aligners can be taken out when brushing and flossing, your teen doesn’t have to worry about developing tooth decay during treatment. It’s important that your teen takes good care of his or her aligners, but don’t worry, it’s easy! We will tell your teen to clean the aligners every day by simply brushing them gently with a toothbrush, toothpaste, and cool water. We’ll also speak to your teen about how important it is to keep the aligners away from radiators and other sources of heat because heat can distort the plastic the aligners are made of. On the day we give your teen his or her aligners, we’ll go over all the aligner care and cleaning instructions so your teen will know how to keep his or her aligners in tip-top shape.